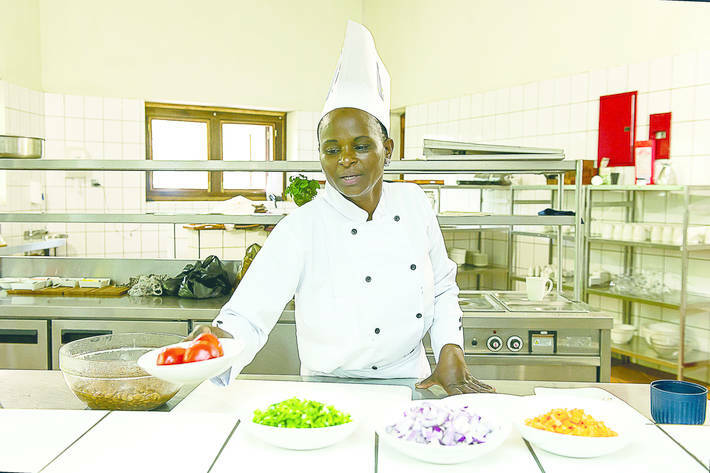 26 Mar 2019 --- Chefs are “agents of change” who can navigate people towards healthier diets, sustainable food production and reduced food waste, as well as lead the fight against hunger and malnutrition. This was a key take out from an international symposium hosted by Food and Agriculture Organization (FAO), the United Nations Educational, Scientific and Cultural Organization (UNESCO) and the Government of France. The event took place during “Goût de France” week held in Paris last week. The “Goût de France” – Good France – project is a global event celebrating French cuisine, held in over 150 countries, for the fifth year in a row. It is an initiative of Alain Ducasse and the French Ministry of Foreign Affairs and International Development. “Since the dawn of time, food has been an essential dimension of human exchanges, a major economic activity, and the foundation of the organization of societies. This legacy is passed on from generation to generation and is shared as communities meet. It weaves ties at a societal level and increases intercultural curiosity between countries,” notes Audrey Azoulay, Director-General of UNESCO. Click to EnlargeFAO and UNESCO collaborated in the creation of a publication, presented at the symposium, coined as “Chefs as agents of change,” which discussed the work of both organizations in highlighting the role of chefs as advocates for health and culturally diversified diets. According to FAO and UNESCO, chefs are increasingly promoting food that is linked to territory and local cultures, as well as the consumption of seasonal and local produce. 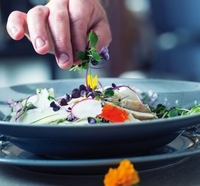 Chefs have also become more involved in the global movement to reduce food waste, championing reduction efforts in their own restaurants, as well as empowering local communities to tackle food waste. Highlighted by the global concern on the rising levels of obesity, the need for better nutrition is noted in the FAO and UNESCO publication. More than 2 billion people are currently estimated to be overweight, including about 670 million people who are obese. The number of obese people in the world may soon eclipse the number of undernourished people, which is currently estimated at 821 million, the report says. “With obesity on the rise, our food systems must change from feeding people to nourishing them with healthy and nutritious food. All of these are important for the transformation we need in our food systems,” says da Silva. Didier Guillaume, the French Minister of Agriculture and Food, also emphasized the importance of national food policies based on a positive approach to nutrition and that take into account the educational, social and cultural dimensions of food. Representatives from research, civil society, agriculture and gastronomy also took part in the symposium, discussing the connection between gastronomy and education and how they can be used to fight obesity and food waste. Food waste is a long-running topic in the industry and 2019 is touted as the year suppliers must step up their game. In March 2018, an initiative called “United Against Food Waste” launched in the Netherlands, consisting of a number of companies, research institutes, civil society organizations and government bodies, including Wageningen University & Research. As food shortage is increasingly becoming an industry-wide concern, innovations in the space are surfacing as well as start-ups that seek to find useful ways to redirect food waste. For example, Israeli-based start-up Practical Innovation Ltd., is working to upcycle food waste to create innovative food and beverage products.